HOW DO YOU MAKE A PLACE PLEASANT? Everyone wants appealing public spaces in their city, whether you’re a designer, politician or resident. 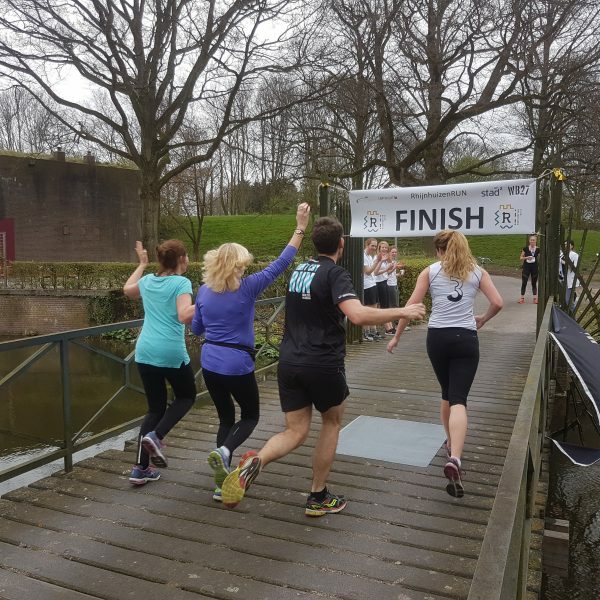 In the Netherlands in any case, politics and policy focus strongly on participation, which means involving and listening to residents and users. 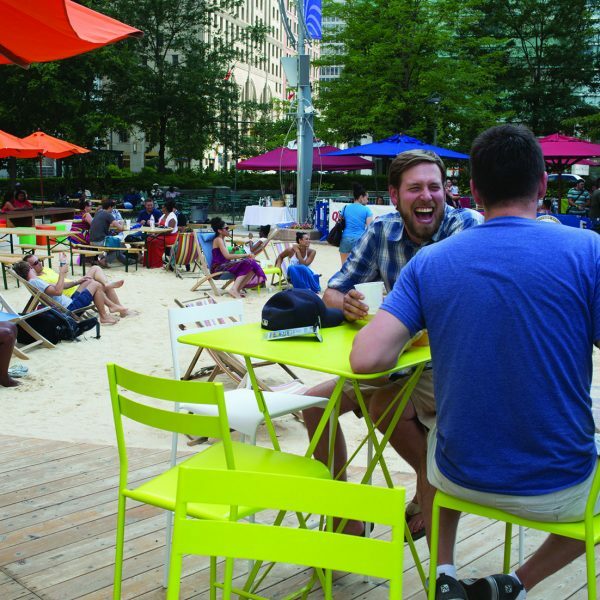 Placemaking, which is now a global phenomenon, provides excellent guidelines in that sense. But participation doesn’t lead, by definition, to the optimal use of public space. The latter also requires knowledge of the conditions for the good use of public space in the eyes of designers and planners. What makes participation difficult is that those of the residents participating don’ necessarily represent all of the inhabitants in a neighbourhood. After all, it requires quite some skill and time to acquaint yourself with the subject matter and express your opinion eloquently. Indeed, those who get involved in the plans often have a relatively high level of education or are vocal residents with a great deal of time on their hands. But not everyone has this much time to spare or the necessary skills. Another drawback of participation is that it ends up being a ‘compromise design’: a mishmash of the sum of all desires, which often doesn’t result in an attractive, pleasant place. A third problem with participation is that residents and designers sometimes view the desires and plans through different lenses. Does one group understand what the other one means by ‘attractive’ or ‘child-friendly’? A different perspective can ultimately result in residents or users not getting the public space that they had in mind. There’s no doubt that participation is an indispensable part of the process towards creating good public space. But designers also need to have sufficient basic knowledge of what people consider to be pleasant public space. There appear to be many universal constants in that respect. Knowing and applying them should be at the foundation of designing public space. Prettige Plekken – Handboek Mens & Openbare Ruimte, which was recently published in the Netherlands, provides a broad basis for this expertise. This guide came about based on the knowledge and experience of the authors, the studying of projects at home and abroad, an analysis of the literature on the subject and contributions by a diverse group of experts. 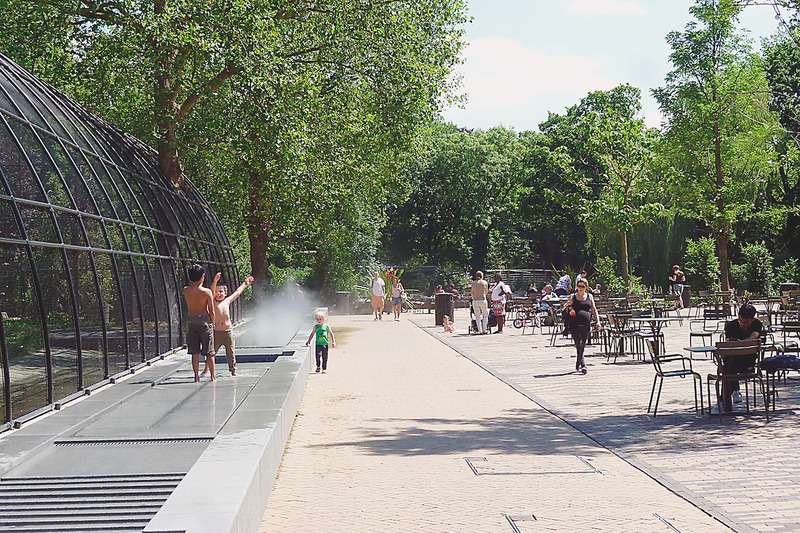 The approximately 500 guidelines for the good use of public space are divided into the following themes: appeal, safety, easy to reach and easy to access, easy to move around in, social, child-friendly and green. What’s more, the themes are accompanied by illustrations from more than 400 examples from all over the world. Apart from providing these guidelines, the book also presents a clear vision of the spatial conditions that every public space should satisfy in order to qualify as a ‘Pleasant Place’. These conditions are: Safety, Variation, Stay and Movement. If any of these four conditions is absent or has been given insufficient attention, then a place won’t be perceived as being pleasant and therefore won’t be used well. Safety: It’s important in public space that a sufficient number of people (whether consciously or not) keep an eye on things. Especially from their homes, because that helps to make public space safe as it creates the perception that people are present 24 hours a day. 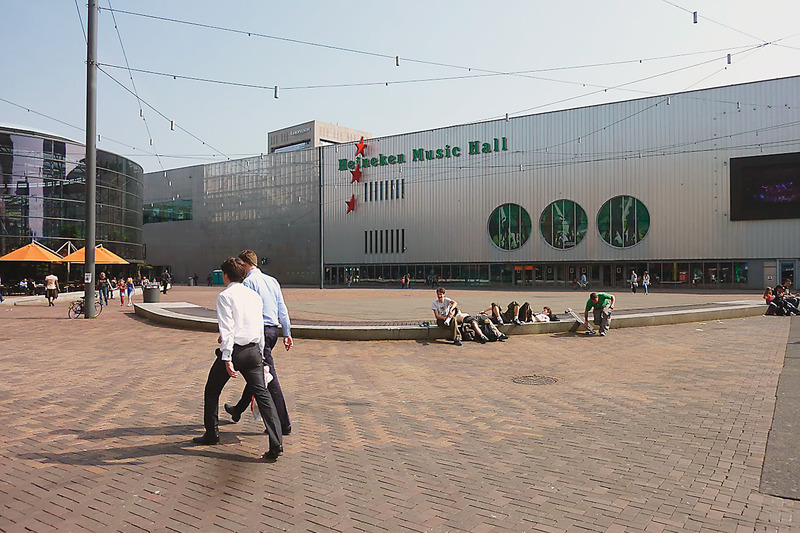 Variation: The public space has to be attractive to look at, and there has to be sufficient variation, especially at eye level, such as detailed façades, art, water or green areas. If there’s not enough to look at, people will get bored quickly and be gone before you know it. Stay: If people have no place to sit they won’t stay long. So there has to be a comfortable seating area (pleasant materials, preferably with backs and armrests) with a pleasant view of architecture, water or a green area, for example, but most importantly there has to be a view of people too. Watching people is the biggest attraction of public space. The place itself should be sheltered if possible from noise (such as traffic), weather and wind. Movement: You have to be able to move quickly and easily from A to B by foot or by bike; the routes need to be logical, sufficiently wide and have a flat and hard underground so that they’re also suitable for people in a wheelchair or walking with a pram. Recreational routes should be designed to run past water or green areas to the greatest extent possible and be connected to outdoor areas when feasible. These four criteria show why the examples mentioned here are successful or not. Sometimes relatively minor interventions can turn a place around. The free-standing chairs ensure that everyone can sit exactly the way they want to: in a group or alone, in the sun or in the shade. The ample green space provides variation and muffles the urban noise, as do the fountains. The walking route is wide enough and unimpeded. The square borders a restaurant and is closed from 23:30 hrs onwards, so it’s safe. 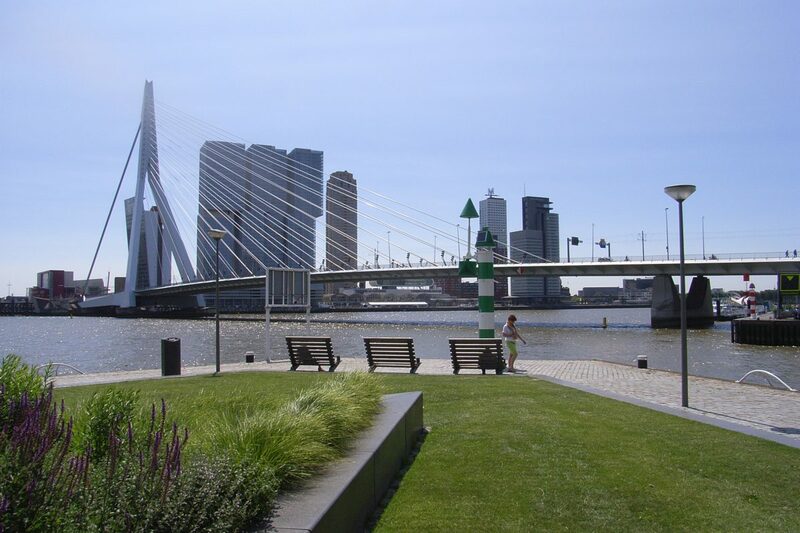 This stony quay has been made green, and comfortable benches have been installed on the most attractive spot: in the sun, with a view of Erasmus Bridge. The location is full of variation: there’s green, there’s water and special architecture. The comfortable benches (made of wood with high backs) are located behind the walking route, so you can watch people walking by as well. There’s no surveillance from homes here though, so it’s potentially unsafe after dark. Then again, there’s no reason to come here at night anyway. There’s enough light here at night for it to be safe after dark, but there aren’t many eyes (informal surveillance) watching the square from buildings. You can’t sit comfortably here. The seating edge is low and too hard. The square is also stony, and the long grey façade makes it look dull. More green would potentially soften the square.